You must have heard this several times before that you are what you eat. 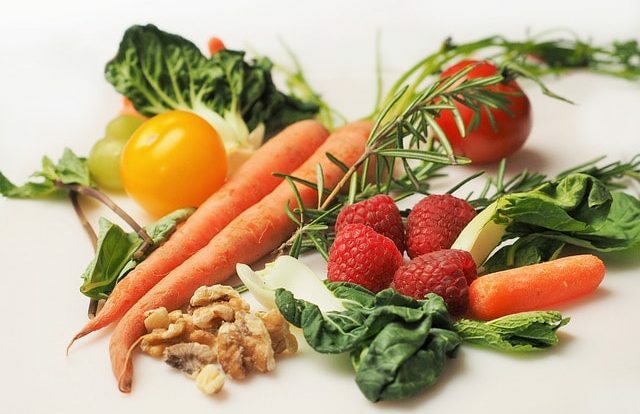 We all know that dietary habits can influence several aspects of our health, including development of certain diseases such as diabetes, cardiovascular conditions, and particularly cancer. However, there are certain foods that contain inherent abilities to decrease the growth of cancer. Some studies show that increasing the intake of particular foods can lower the risk of cancer and its expansion in our bodies. In this article, we will discuss about natural cancer cures foods that work wonders in alleviating the risk of developing this chronic disease. The cruciferous vegetable contains sulforaphane, a plant compound, that has natural anti-cancer properties. According to a study, this compound was able to mitigate the breast cancer cells by as much as 75%! At the same time, another study on animals revealed that consuming broccoli can help kill cancer cells by 50%. Researchers further add that consuming cruciferous vegetables can lower the risk of colorectal cancer as well. There have been several studies claiming that carrots can decrease the risk of stomach cancer by 26%. Experts recommend people to eat carrots as a healthy snack and side dish by incorporating it into their meals just a few times per week. This small dietary change can help you increase your odds against development of cancer. This fiber rich food is known to protect people against colorectal cancer. By increasing the intake of beans in your regular diet, you can not only reduce the risk of colorectal tumors but also protect yourself against colon cancer. Berries contain antioxidants that work wonders in correcting the free radical damage that can lead to cancer. It also contains anthocyanins that are known to mitigate the growth of cancer cells in people suffering from colorectal cancer. By including as little as two servings of berries in your diet every day can help you inhibit the growth and spread of cancer. There are many health benefits associated with cinnamon. It not only helps control the blood sugar levels but also relieves inflammation, among other things. Studies have found that cinnamon can also help obstruct the growth of cancer cells in our bodies. Cinnamon can be used in various forms, be it its highly concentrated essential oil or cinnamon extracts. Incorporate at least ½ to 1 tsp of cinnamon in your diet to unleash its full potential. According to research, nuts contain healthy fats that can reduce the risk of colorectal, pancreatic, and endometrial cancer significantly. Nuts like Brazil nuts contain selenium that can protect you against lung cancer and walnuts can reduce the risk of breast cancer by 60%. These results indicate that adding one serving of nuts to your diet may help reduce the development of cancer in the future. Food is a building block for our body and supplementing our diet with these natural foods can not only protect against threat of cancer but also improve your overall health.